When the consent of the governed is withdrawn empires crumble. After the latest IPCC report, children are withdrawing that consent. The result is momentous. at the New York Public Service Commission! EXTRAORDINARY NEWS! The New York Public Service Commission has taken a bold stance to promote renewables and help end New York’s dependency on fracked gas by pushing utilities to meet heating demand through “non-natural gas energy sources” like heat pumps and energy efficiency. They need to know we’ve got their back! PLEASE CALL the PSC Opinion Line (anytime! ), 800-335-2120, press 2 and thank them for supporting alternatives to gas for heating in Westchester County. THE BACK STORY: Con Edison, the energy utility company for NYC and Westchester County, recently declared a temporary moratorium on new gas service in Westchester County. Con Ed says there is insufficient gas in the system to support more development on the coldest days of the year, therefore there can be no more gas-dependent construction. Other utilities are signaling they may follow suit. In other words, the PSC is pushing Con Edison to support energy efficiency and the use of heat pumps for space and water heating, leading to reduced use of fracked gas, reduced greenhouse gas emissions and reduced demand for fracking. This is a phenomenal development! The massive push-back on the Governor and PSC to allow more gas has already begun. Please let the PSC know you support their stance in favor of non-gas solutions for heating and cooling. Let them know they are doing the right thing for New York and for the planet. PLEASE CALL the PSC Opinion Line (anytime! ), 800-335-2120, press 2, and provide your name and town. Use or adapt our suggested message: “Thank you for your strong stance supporting non-gas alternatives for heating and cooling in Westchester County. The economic impacts of climate change far outweigh the temporary economic impacts of a gas moratorium. Please stay strong and keep supporting non-gas solutions. We could use your support next Tuesday, January 29. This is the hearing at Lansing Town Hall for our appeal to the Zoning Board of Appeals to rescind a building permit given by the town code officer to the Lansing Gun Club to proceed with their controversial and ill-advised plan to create a second hazardous waste site (i.e., lead shot trap range) on their property. We need protectors of our environment to join us at the hearing and show the ZBA and Lansing board that our community won’t tolerate this unnecessary toxic threat to our water, our wildlife, and our children by a group of selfish hobbyists. Arrive at 6:15 PM. We need to fill the room! 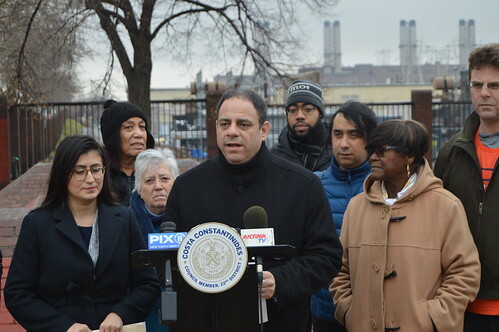 Power plants present an unnecessary threat to residential communities such as Astoria, which was found in 2015 to have a higher volume of pollutants than the borough-wide and citywide averages. Constantinides’ new legislation requires the City of New York assess the feasibility of replacing these 21 gas-fired plants with batteries that store energy from wind, solar, and other renewable sources. The report also requires a 2030 energy storage goal and implementation plan. Letter says investigations by the state attorney general are targeting environmental crimes in Washington County. 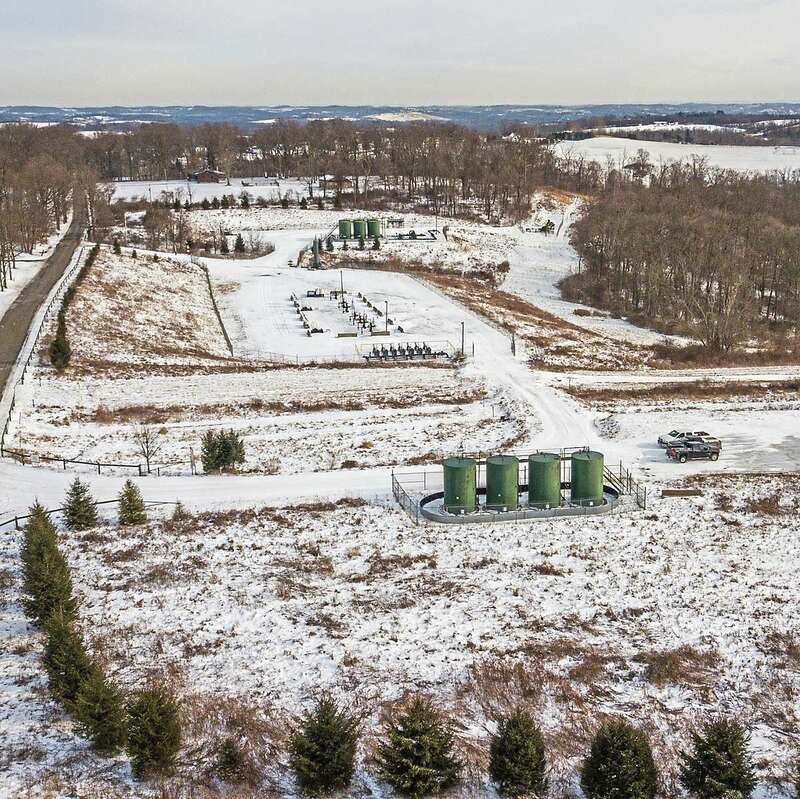 By that time Washington County District Attorney Eugene Vittone already had discussed with and referred claims of environmental problems in shale gas development to the attorney general’s office. Three Washington County residents told the Post-Gazette that they have spoken with AG investigators and were told they could be called to testify, with a Washington County woman saying that she already presented testimony before an investigative state grand jury in Pittsburgh. “It has come to our attention that one of the potential criminal investigations involves your respective clients,” said the two-paragraph letter signed by Courtney Butterfield, deputy attorney general and obtained recently by the Pittsburgh Post-Gazette from someone not involved in the case. Thunberg accused some leaders of putting profits ahead of tackling climate change. “Some people—some companies and some decision-makers in particular—have known exactly what priceless values they are sacrificing to continue making unimaginable amounts of money,” she said. …Missing gym class, geography and religion each Friday is something of a sacrifice for Thunberg, who says she loves school and can’t pick a favourite subject. …Trump’s reversing the hard-fought victory at Standing Rock is, of course, another example. His action, like those happening around the world against Indigenous rights, was illegal, political and full of conflicts of interest. The order for an environmental impact statement to assess risks — a process that on average takes 3.4 years — should have been done from the beginning, should have been legally defensible, but the new versions of “executive” orders seem to “trump” the law when it comes to Indigenous peoples, as Vine Deloria Jr. has noted. 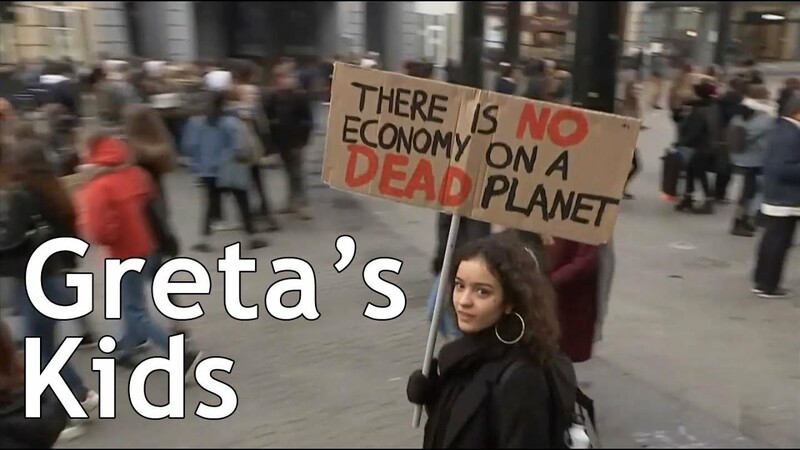 Over 12,500 students gathered in Brussels on Thursday, skipping school for the second week in a row to march for the climate. The protest was over four times as large as last week’s, according to Belgian paper De Standaard. Images from the protest show students walking in the rain to the European Parliament, carrying banners and signs calling for action on global warming in both English and Flemish. “Skipping school? No. We fight for our future,” one sign read, according to The Associated Press. One director of a local school lauded the student activists, telling De Standaard that the demonstrations show the positive effect education has had. Farmers are on the frontline of climate change, at the mercy of worsening extreme weather. Farms also contribute to the problem. And they could help solve it—through practices that could store billions of tons of carbon in the soil while boosting farm profits. A transformation of America’s farm economy would be as profound as the revolution in the energy economy. So why hasn’t this started to happen? Racist comments by a Colorado Court of Appeals judge have prompted seven young plaintiffs to ask the state to vacate several judicial decisions. Those decisions led to a recent Colorado Supreme Court ruling against them in their lawsuit to force the state to consider the impacts on public health and the climate when allowing oil and gas development. That ruling, allowing the Colorado Oil and Gas Conservation Commission to ignore public health, safety, and welfare concerns in permitting fossil fuel development, relied in part on a dissenting opinion by Court of Appeals Judge Laurie Booras. Booras was suspended last March pending an investigation of allegations that she called a fellow appeals court judge a “little Mexican,” and a judicial review panel recently substantiated the allegations, specifically mentioning her racist comments were particularly inappropriate because the lead plaintiff in the oil and gas case, Martinez v COGCC, Xiuhtezcatl Martinez, is Native American and Latino. The plaintiffs’ attorneys contend that the Supreme Court should not have cited Booras’ dissent in its opinion, which overturned a Court of Appeals ruling in their favor and which was issued nearly a month after the discipline panel’s report. The panel found Booras breached her duty by telling a third party about a confidential discussion the panel of judges had regarding the case. I’ve decided to create a tutorial on earth nullschool for those who are interested in climate science. I’ve tried my best to make the tutorial at a level which is good for everyone :-). 1) In this tutorial, I go over the basics in Earth Nullschool. First, we discuss the basics of Earth Nullschool, including navigation basic wind patterns and the structure of the troposphere and stratosphere. 2) We also explore temperature, and some concepts with pressure. Relative humidity and total precipitable water are also covered, as well as some other basic ideas from physics and chemistry as they relate to climate change. These groups argued that the lawsuit, filed by Resolute Forest Products, aimed to silence legitimate advocacy by characterizing the basic elements of activists’ campaign work as a criminal conspiracy. That’s a Problem for Climate Change. As Dr. Bendell notes, there will be a tendency to want to reject his conclusions in Deep Adaptation since to accept them is so life changing in its repercussions. [Rated PG-13] For those who want a visual summary of the science behind Deep Adaptation, first watch https://youtu.be/pMbeYJgH_6g. We at ScientistsWarning.TV feel responsible to provide some orientation and emotional support to viewers. The subject is quite serious, with the ‘collapse of civilization’ in the relatively near term seemingly unavoidable at this point. We urge viewers to follow Jem’s advice in the video, namely to use it initially as a ‘thought experiment,’ that is, something to consider it as a matter of ‘what if’. IMPORTANT: This is NOT an excuse for doing nothing to alter our catastrophic trajectory. It is not a reason to abandon our values and indulge in hedonism, apathy or denial. The complexities of the future cannot be summarized meaningfully in words and images. Even if the ‘collapse of civilization’ is unavoidable, HOW that plays out is still very much something we can influence with our collective commitment, wisdom and actions.